It is very important that you monitor the state of your home’s drain and sewer system by scheduling regular check-ups. The pipes are as old as the home itself, and are subject to wear and tear. A lot of people ignore maintenance of the sewers and drains. But regular maintenance is very important in preventing major problems, such as blocked drains, collapsed drains, root damage, grease build-up, belly in pipes (low areas in the pipes where water and debris collect, causing blockages in the drainage system), clogged sewers. Regular maintenance could save you thousands of dollars in needless repairs. Canada Waterproofers Markham would be happy to help you with regular maintenance of your sewer system to prevent any of these drain problems from occurring. One of the common factors leading to water leaks (damaging walls and floors) are leaking pipes. A regular check-up (say, once per year) can catch those issues before they become larger in scale, and more damaging and costly. Everyone knows the horrors associated with mould and mildew. Don’t even risk it – call Canada Waterproofers Markham for a maintenance check. You are in good hands. We have been doing this for 25 years. Our technicians are licensed and fully insured. We use only the latest technologies to inspect your system. Also, while maintenance is important, if you find yourself in a situation where a toilet, sink, or bathtub is plugged – call us!  Canada Waterproofers Markham’s motto is integrity and honesty. We practice this with all of our jobs, no matter how big or small that job may be. So if you’re looking for the best sewer and drain cleaning in the business, then look no further than Canada Waterproofers Markham. We are here to help.